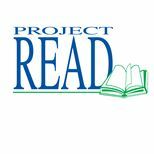 Support Project READ, the Dayton-area's literacy coalition based at Sinclair, at the DP&L Concert for Literacy on Thursday, June 19, at the Fraze Pavilion. The show starts at 8:00 and will feature U2 tribute band "ONE: A Celebration of U2." Tickets are just $10 each ($5 for children 12 and under on the day of the event) and can be purchased at the Fraze box office. Sponsored by Sinclair, along with several other area businesses and institutions, all proceeds support Project READ's mission of building skilled workers, strong families and healthy communities through lifelong literacy.